The Puddledock Press was established in 1979 as part of a grant for a Farmington Community Education Project, funded by the Charles Stewart Mott Foundation, a private grant foundation based in Flint, Michigan. This introducotry article appeared in the very first Puddledock Press, December, 1979. 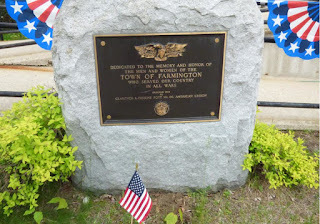 Farmington's Community Education Project, seeing a desperate need in the Farmington area for news coverage of local events and personalities, begins the publication of a monthly newspaper with this issue of the "Puddledock Press". The Community Education Project, funded by a grant fro the Mott Foundation of Flint Michigan, has as its purpose increased community and co-operation between town and the schools. Besides this paper, Community Education also sponsors various activities designed to increase the community use of school facilities, such as might classes for adults, school playground improvements. According to the Project's School-Community Coordinator, Pam Lord, one of her on-going assignments is to build a resource file of area residents who are willing to donate an occasional hour to the school when needed. “Lots of our citizens have skills or expertise in one or another field which could really help our the classroom teachers as they plan lessons”, she stated. “For instance, some people have traveled throughout the country or world and might be willing to bring slides they've taken into a social studies class sometimes. Others might have a skill- in drama, music, crafts, or sports, which they could share.
" We're not looking for full-time volunteers (although they would certainly be wonderful to find), but rather we're trying to build up a card-file resource system where teachers could look to get some help on a particular unit,” Mrs. Lord went on to explain. The Community Education Project has an Advisory Council which meets monthly to plan activities and follow progress of on-going projects. Serving on the Council are: Ann Bryant (chairperson), Jeri Tufts, Jonathan Nute, Joyce Nutter, Jim Bibbo, Joyce Mosher, Pam Lord, Jim Locke, and Earl Harding. Persons interested in joining the Council are urged to call Pam Lord for dates and times of meetings. The first Puddledock Press is published in December by the Community Education Project of Farmington, New Hampshire. 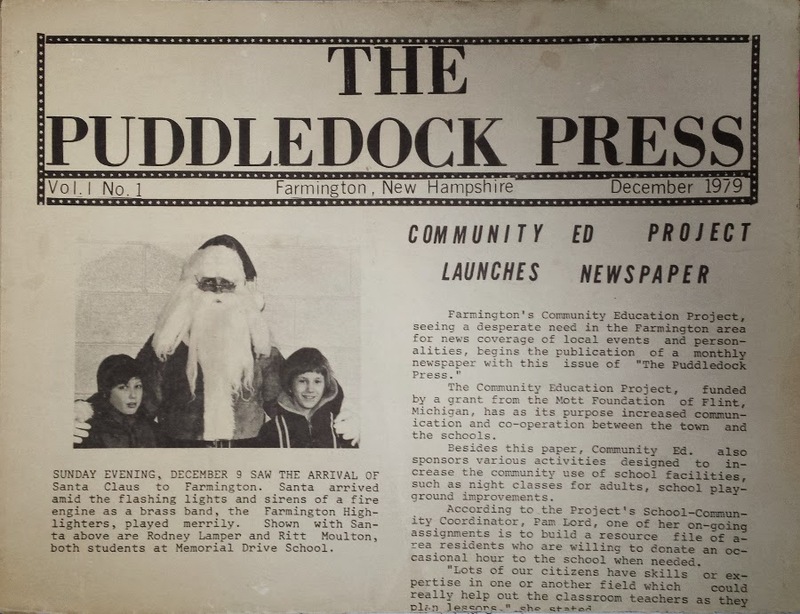 Funded by a 5 year grant, the Puddledock's mission was to serve as a bridge between the school and the community, educating the community about the good things happening in our schools. After the original grant funded period was over, Community Education Project ceased to exist. JoAnn Doke took over as the Puddledock Press editor, continuing to fund the paper through the sales of advertisements. The paper continued to serve as a community education project through JoAnn's work and that of the volunteers who assisted her. After working with the paper for 35 years, JoAnn Doke retired as the editor. Stan Freeda took over the position as editor. JoAnn remained as adviser and continued to take photos and report news as time permitted. For the first time, the paper was developed digitally. The Puddledock Press website, Facebook page, and Twitter account were activated. 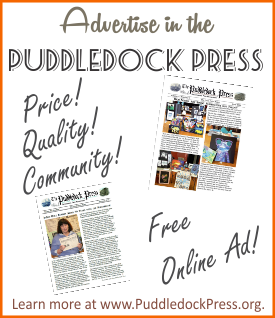 After 36 years in operation, the Puddledock Press became an official nonprofit organization, incorporating as The Puddledock Press of Farmington New Hampshire. 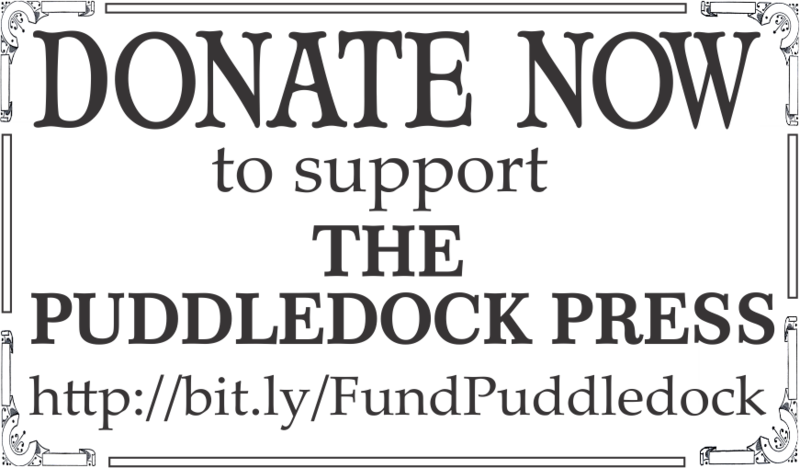 Donations to the Puddledock Press were now tax deductible, and the Paper could solicit donations online.